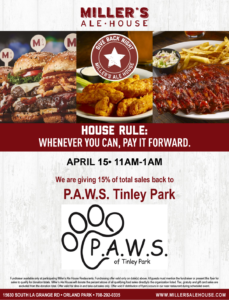 Dine to Donate - Miller's Ale House - P.A.W.S. 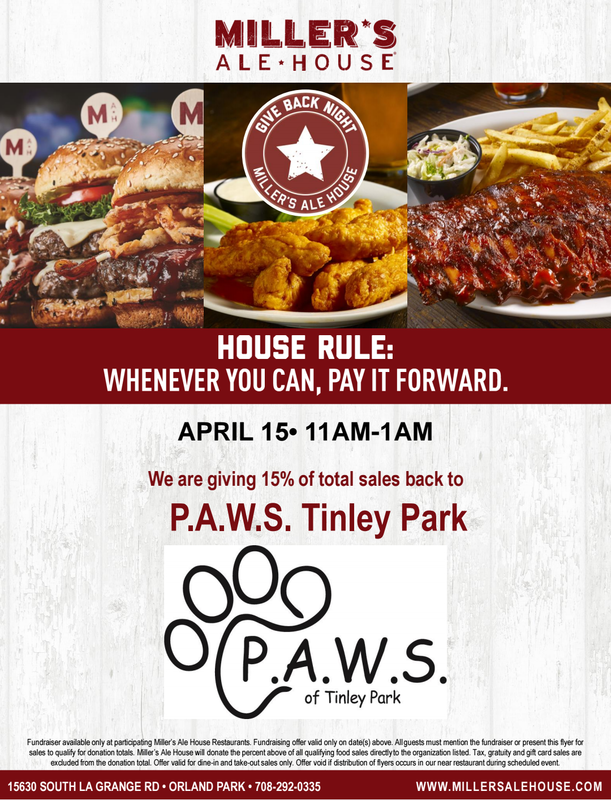 Join us on Monday, April 15th at Miller's Ale House for a Dine to Donate event! Miller's Ale House has generously offered to donate 15% of your bill to our animal shelter! You can't beat delicious food and donating to a good cause at the same time! See you there!